Neither good diet nor heavy exercisesareunableto completely get rid of the fat deposits without surgery. While cavitation procedures make it easily. The effect is noticeable after the first such procedure. One session is about 15cm burned fat, which contributes reduction of waist up to 30 mm. These procedures are absolutely painless and harmless. The device is economical, it does not need to use a lot of power.It is equipped with a large touch screen for convenience.Leading specialists use it insteadthanks to its excellent technical characteristics. The weight of the device is only 20 kg, the size of its package is 590 mm × 470 mm × 480 mm. 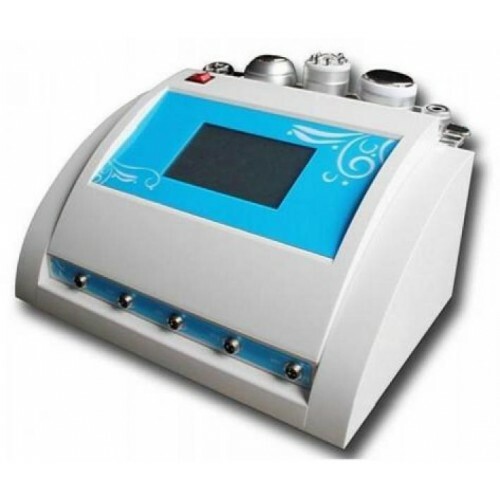 The set includes such maniples: cavitation, ultrasound, multipolar plus 635 nm laser, bipolar maniple for the face.